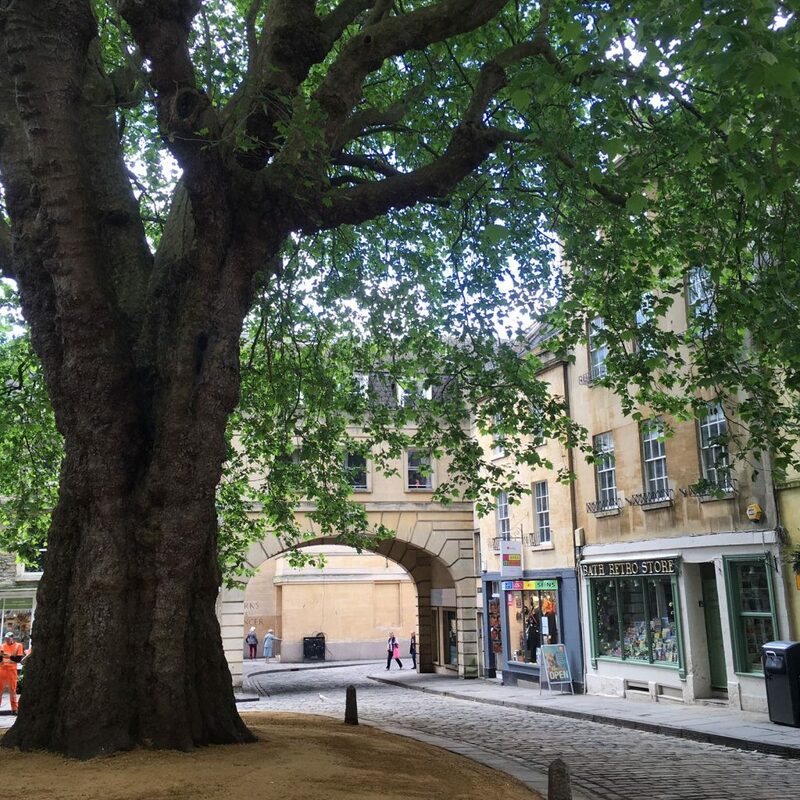 The tree located in Bath is one of the oldest architectural planted trees in England and is located in a quiet part of the city near the 14th century Abbey. 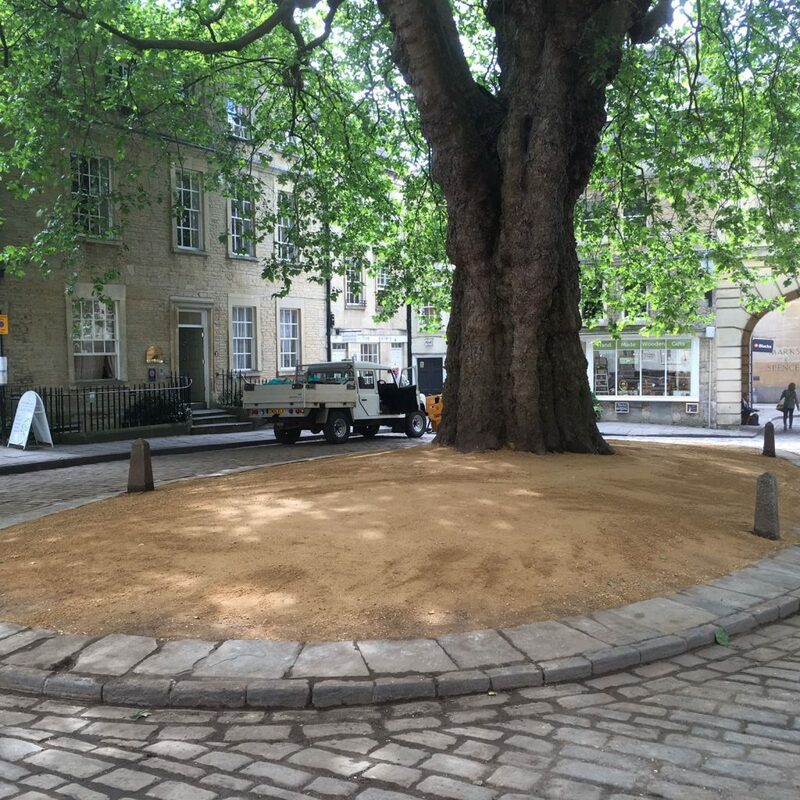 Bath & North East Somerset open space team asked Greenman if they could implement the proposed scheme. Due to pedestrian footfall under the tree the ground conditions were either very compacted or extremely muddy. 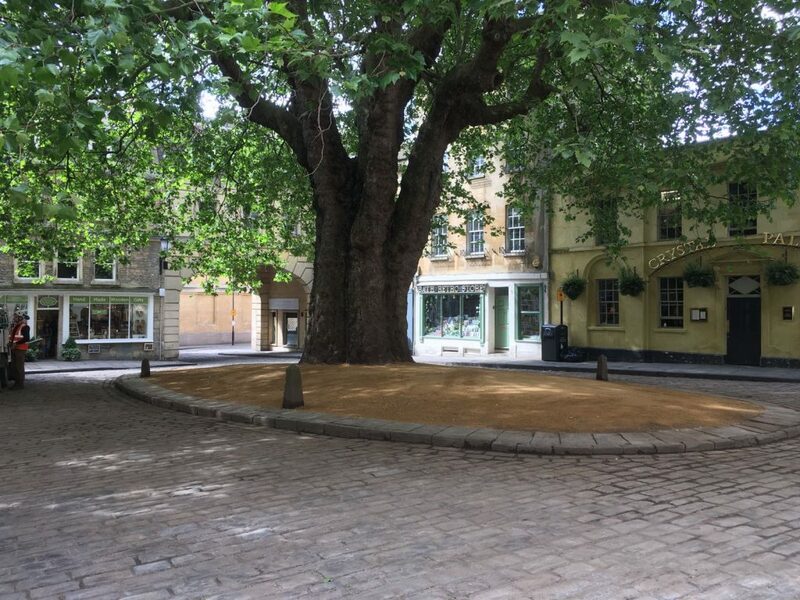 The new surface specified was to install a traditional Cotswold self binding permeable gravel. The Greenman landscape team erected a safety barrier lined with debris netting to protect the public and information boards were placed to advise the public. The team used our airspade and soil vacuum system to break and aerate the compacted soil. A percentage of vacuumed soil was removed and the new gravel added. 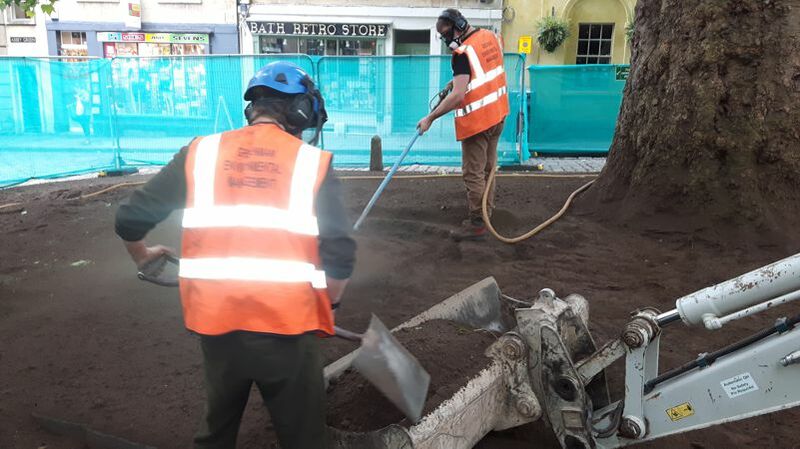 We were required to complete the works on time prior to a new Sunday Market, the works were carried out by managed precision from the mobilisation to the last piece of equipment leaving on the Friday night. All of the team working on the project were thanked by BANES for the successful delivery of the project.